Better than a holiday! Do you dream of living by a lighthouse? 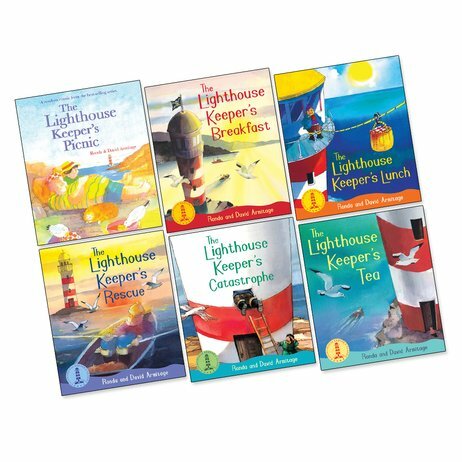 Join the Lighthouse Keeper for sunny adventures by the sea. Lucky Mr Grinling lives beside the beach and takes care of an important lighthouse. His job involves shining the light at night, rowing in boats and eating lots of yummy picnics. You’ll find heaps to spot and learn in his funny stories. Just the job if you’d like to own your very own lighthouse one day. The Lighthouse Keeper’s Lunch won the 1897 Esther Glen Award.